The Shooting Star Skechers meditation sandals for women are available in white and black colorways, and they feature a medium width. They offer a timeless look and exceptional comfort thanks to a soft fabric upper complemented by stretchable straps and a Yoga Foam footbed. The interwoven stretch straps definitely improve overall comfort, as they ensure a customized fit, while a knotted front element with a fabric toe post adds a refined touch. Other details include a lightweight and flexible midsole, a ½-inch flat heel, and a flexible traction outsole. 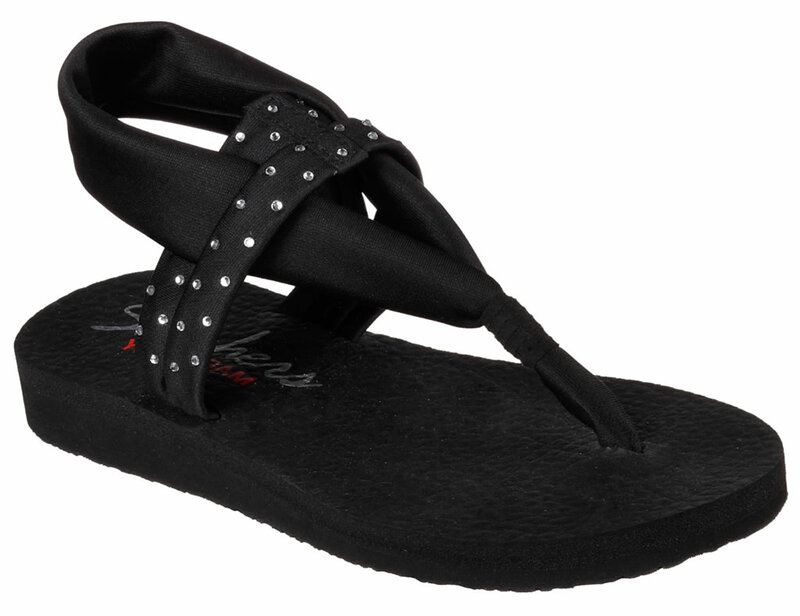 The model also comes with glittering rhinestone elements on the instep strap.